Live cell imaging allows real time measurements while maintaining the delicate balances and intricate complexity of the cell. Further, sufficient data sampling using quantitative single cell imaging addresses inaccuracies produced by averaging data from cell populations that may be heterogeneous (perhaps with subpopulations displaying opposing characteristics and behavior) and allows the exclusion of outliers. This method is therefore increasingly used to investigate dynamic and interactive biological pathways and networks for systems biology modeling. However, certain issues in imaging, such as artificial expression levels of transgenes, unintended dimerization of fusion proteins due to a fluorophore, and illumination-induced photo-toxicity of cells are at odds with maintaining biologically significant models. In ‘A Checklist for Successful Quantitative Live Cell Imaging in Systems Biology,’ Myong-Hee Sung, (National Cancer Institute, NIH, Bethesda, MD, USA), clarifies these and other concerns. In a concise and practical overview of technical aspects of commonly used techniques in live cell imaging, Sung offers practical advice to minimize distorting effects in order to optimize physiologically relevant data for systems biology modeling. Do you have advice/tips for single live-cell imaging for systems biology, further thoughts, or questions? Please post your comments on this paper/topic. 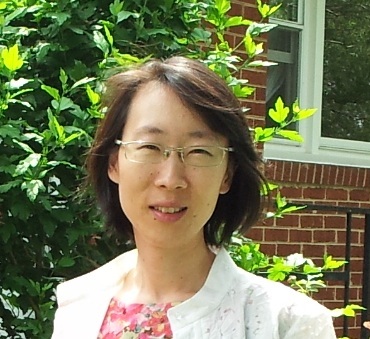 Mia Sung crossed over to biology in 2000 after a PhD training in geometry (SUNY Stony Brook) and a postdoc training in dynamical systems (University of Maryland). Soon she developed an interest in cell signaling dynamics using NF-kappaB as a model system. In recent years, her expanded research topics include computational genomics and applications to chromatin biology and genome organization. Sung, M.-H. A Checklist for Successful Quantitative Live Cell Imaging in Systems Biology. Cells 2013, 2, 284-293. For related open access articles, please see live cell imaging. Posted in Cells and tagged Cell Imaging, Cells, Systems Biology.